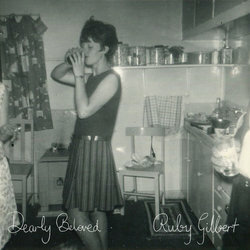 Ruby Gilbert embraces a moody, gothic-tinged style of song-writing. Raw and heart-breaking, her voice evokes an old-time feel, while her lyrics are both strange and endearing. Ruby draws inspiration from short-lived love affairs, imagined yearnings, betrayal. She speaks of the lonely and cynical side of heart break that no-one likes to speak of or ever thinks to write about. She captures and vocalises feelings and emotions that make her lyrics deeply relatable. Tales of hardship, woe and lost love. Ruby and producer, Aaron Shanahan (Sunday), play every instrument on her upcoming release, which was recorded during a series of improvised, experimental recording sessions in an underground space. Every track is distinctive and darkly appealing. Her powerful performance style has seen her play festivals around Australia, including the Caloundra Music Festival, Tamworth Country Music Festival, the Gympie Music Muster, as well as being featured at Bigsound and Little Bigsound. She currently lives on the sleepy outskirts of Brisbane, Queensland. The song ‘Dearly Beloved’ is a third person view on an abusive, toxic relationship. The song is probably the most personal and confronting song on the EP. I wrote the song about a person close to me as a way of trying to understand their situation.